As 2017 draws to a close, supply in most fertilizer markets remains snug. The majority of producers are comfortable until the end of the year and prices are under pressure, as demand continues to be stable. 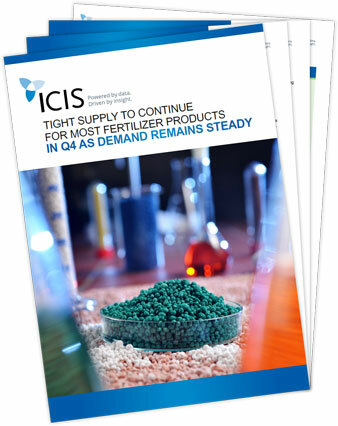 In this market insight piece, the ICIS fertilizer team takes a look at the supply-demand scenario for the final three months of the year and the main developments that are expected to affect all products in the fourth quarter of 2017.